Exxon Mobil is under scrutiny yet again. The office of New York Attorney General Eric Schneiderman was already probing whether the nation's largest oil company withheld information from shareholders and the public about the risks that climate change poses to the company's business. Now Schneiderman is looking into whether the company is properly accounting for the value of its crude and natural gas supplies in the face of a steep drop in energy prices the last two years, according to a source familiar with the probe. Other big energy companies have taken big hits to their earnings after writing down the value of their oil or natural gas reserves in recent financial reports. Some have even posted losses as a result. Low energy prices also means that it's no longer economically feasible to extract oil or gas from some companies' reserves. 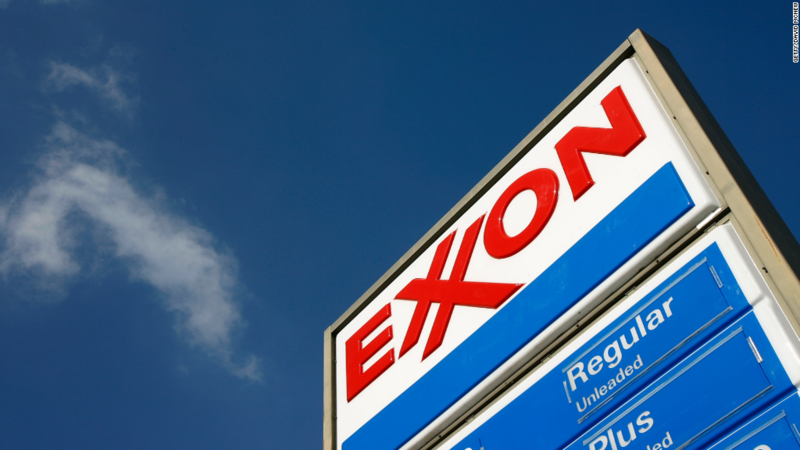 But Exxon Mobil (XOM) has yet to take such a charge against its earnings. And while violating an accounting rule would typically be the purview of federal authorities such as the Securities and Exchange Commission, Schneiderman has taken a broad view of his office's regulatory role over businesses that aren't necessarily based in New York, from overseas investment banks to automaker Volkswagen to Exxon Mobil. Asked about Schneiderman's probe, Exxon Mobil said "Our results are in accordance with the accounting and reporting standards." The company's most recent filing addressed the need for a such an adjustment, although it said that was mitigated by the history of significant volatility in natural gas and oil prices. "The corporation performs asset valuation analysis on an ongoing basis as a part of its asset management program," it said in its most recent annual report. "In general, the corporation does not view temporarily low prices or margins as a trigger event for conducting impairment tests." By contrast, BP (BP) has taken more than $2 billion in charges in the last two years, primarily due to the drop in the price of oil and natural gas.